Micromeritics GeoPyc 1360 Envelope Density Analyzer Roller Compaction Ribbon . 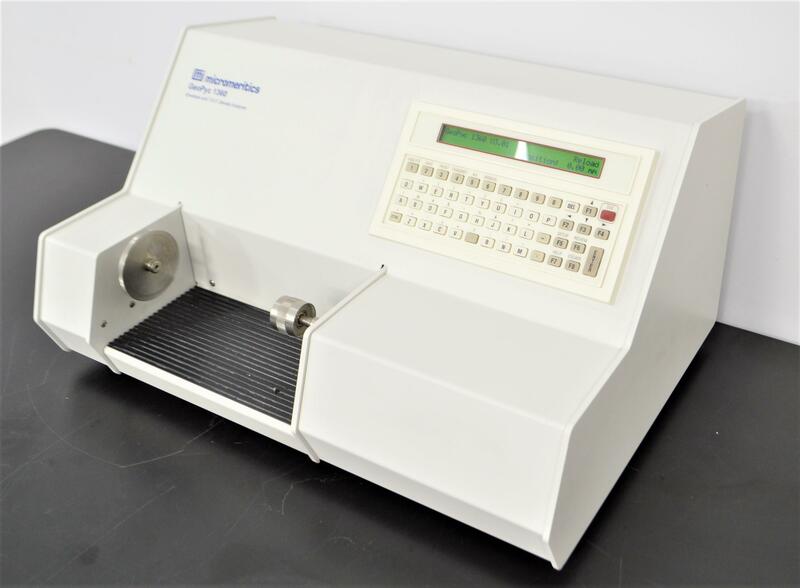 New Life Scientific, Inc.
Our in-house technician inspected and tested this Micromeritics GeoPyc 1360 Envelope Density Analyzer, confirming it powers on and initializes. Technician tested all buttons and ran multiple blank runs with no issues. 22 x 15.5 x 11.5 in.